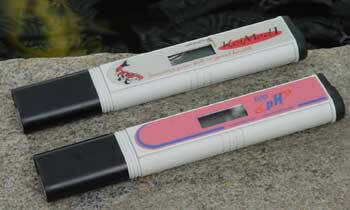 KoiMedic Salt meters are designed to measure and monitor the delicate salt concentration in your Koi pond. The meter is extremely easy to use. Just turn it on and dip it into your Koi pondFeatures: Direct Reading, Water Resistant,Automatic shut off, Low battery warning. Size: [L x W x H]: Aprox. 6 1/2" x 1 1/4" x 1/2".